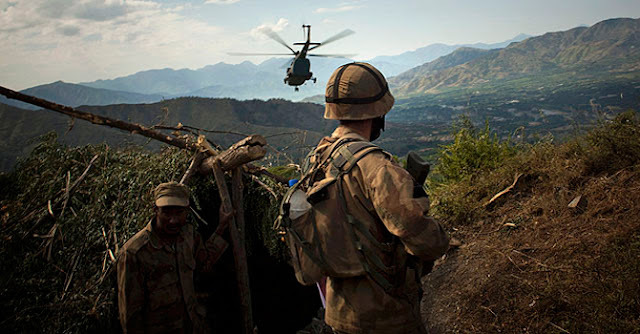 ISLAMABAD: The Pakistan army has changed its operational priorities for the first time in eleven years and described internal threats as the greatest risk to the country’s security, DawnNews reported on Wednesday. The army publishes the doctrine to review its war preparedness and capabilities in order to keep them on the right track. A new chapter, ‘sub-conventional warfare’ has been included in the “green book” for the first time. Without naming characters in the war, the book talked about few groups and elements and also mentioned cross-border attacks from Afghanistan. The over 200-page green book is being distributed among military commanders and the military sources said that it would also be shared with the public and will also be posted on the army’s website at an appropriate time. According to BBC, defence analyst Talat Masood says that Pakistan army for the first time has admitted that the real threat is emanating internally and along the western borders and not directly from India, which was previously considered as number one enemy of the state.